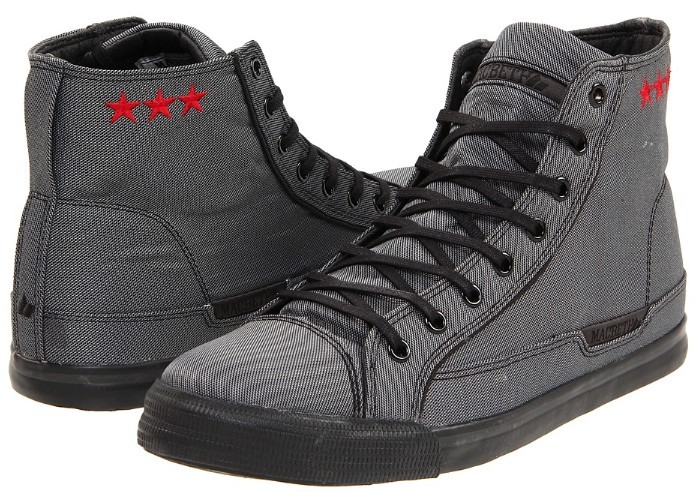 The Macbeth Schubert is a stylish change up to your cons, and has two more stars on the collar! All canvas upper with a military weave, vulcanized soles and some extra foxing around the toe for increase shred time. These shoes are not only vegan, but also a portion of sales go to wounded soldiers. I got an email saying MooShoes doesn’t have the Schubert, even though it is still on their site. Bummer. I’ll post another update if I can find another site that carries them.